If you want to catch up with Beth Maynor Young, you’ll have to start early in the day. That’s because early morning light is the best time to photograph the wild, natural places she loves. In some primitive cultures the people won’t let you take their picture because they believe you’ll steal their soul. It’s apparent land doesn’t “know” this. Because Beth is nationally renown for using her camera to capture the “soul” of some of the South’s most beautiful natural places. 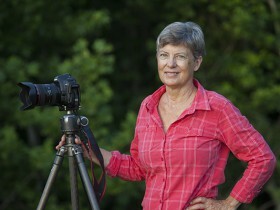 This talent has solidly established Beth as a leader in the field of fine-art conservation photography. And, has led to opportunities to serve on related boards (Alabama Rivers Alliance, Cahaba River Society) and to co-author books on some of the South’s most beautiful places (Headwaters: A Journey on Alabama Rivers, 2009; Longleaf, Far as the Eye Can See, 2012). 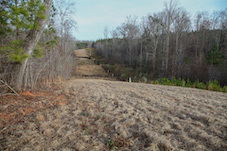 In fact, Beth is co-recipient of the Alabama Wildlife Federation’s “Forest Conservationist Of The Year” award for 2013. So, if you are shopping for wild and unique Alabama land for sale, there is no one better to be your guide. But, be ready to get up early.